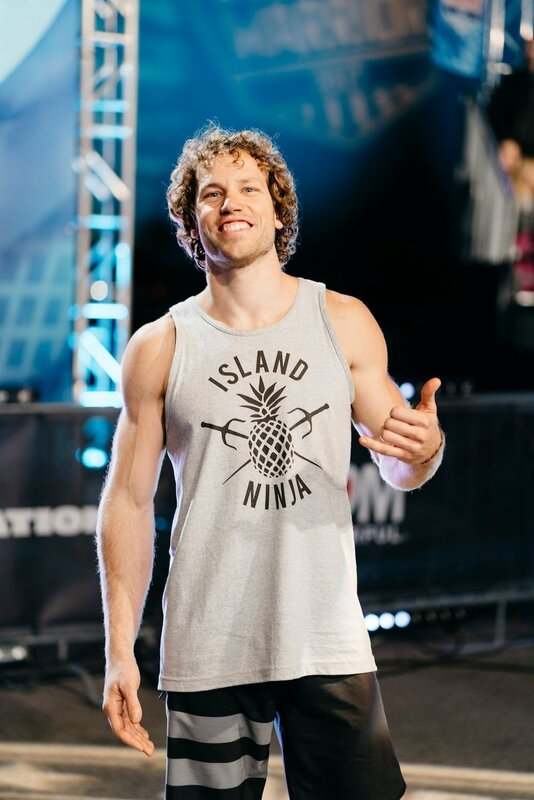 Grant McCartney, better known as the “Island Ninja” from the TV show American Ninja Warrior, is one of the shows most recognizable athletes. Between his dynamic personality, dance moves, and fun-loving attitude it’s no wonder he has created such a name for himself. In just four years of being on the show, Grant has turned his energy and love of entertaining into the Island Ninja brand that has inspired a community of loyal followers known as the “Pineapple Pack” on social media. Grant has always had a passion for athletics, travel and connecting with people. His ability to inspire and motivate every person he comes in contact with is truly amazing; his charisma for life will instantly draw you in! It’s no wonder he is one of the most sought after ninjas for: speaking events, gym appearances, celebrity appearances, and emcee opportunities. Grant has been featured on the Ellen DeGeneres show, trained with Logan Paul, coached WWE super star Nikki Bella for the ANW Red Nose Day Celebrity Edition, quoted in multiple health and fitness blogs and much more! This attitude of integrity has created an organic following that engages with Grant on an authentic level.